Cécile Louise Stéphanie Chaminade was born in 1857 in Paris. She showed an early talent for music and was composing by the age of eight. Unfortunately, her father wasn’t so keen on the idea of his daughter studying music, and it took the intervention of no less than Georges Bizet to convince Monsieur Chaminade of his daughter’s talent. Even so, he discouraged her from studying at the Paris Conservatoire, so instead, she studied privately with Félix Le Couppey, Martin Marsick, and Benjamin Godard. She gave her first concert as a pianist at the age of eighteen and never looked back, making her name as a composer of songs, chamber music, and piano pieces. She traveled all over the world performing her compositions, and in 1901 she became one of the first instrumentalists to record for the gramophone. Her fame was such that dozens upon dozens of Chaminade fan clubs were founded in the United States. By 1944, the year she died, she had written nearly 400 pieces. Unfortunately, her demonstrative romantic style fell out of favor in the twentieth century, and only a few of her works are still widely played today. Many critics and historians dismiss her work as nothing more than sentimental salon music (in 1994 Richard Langham Smith actually wrote an article about her entitled “Sister of Perpetual Indulgence”). However, when evaluating Chaminade’s work, it’s necessary to remember who exactly she was writing for. Her core audience consisted of members of the middle-class domestic music market, mainly pianists who had not received professional training, who most often expressed their musicality in intimate private gatherings. Many of them were actually women who were so busy with the overwhelming task of running a Victorian household that they were unable to commit to the hours of practice that more technically difficult pieces would require. Chaminade was well aware of this, and she tailored her music accordingly. Happily there are still many people who understand that music does not to be relentlessly intricate, intellectual, or even innovative to be incredibly enjoyable. Here is Chaminade’s Piano Trio No 1. And here is the score. II. Piano Quintet No. 1, Op. 30, by Louise Farrenc. Circa 1839. Louise Farrenc (1804-1875) was another female trailblazer. Unlike Chaminade, she had the advantage of being born into a bohemian family who was open to the idea of women developing their artistic gifts. She studied piano under Ignaz Moscheles (the Mendelssohn children’s teacher) and Johann Nepomuk Hummel (widely considered to be one of the greatest pianists of his day), and, unusually for a woman, composition with Anton Reicha. In 1821, at the age of seventeen, she married a flautist ten years her senior. (He later became a well-known music publisher.) Marriage didn’t interfere with her career; on the contrary, she toured throughout the 1830s, and in 1842 she was named the first woman Professor of Piano at the Paris Conservatoire. Despite this extraordinary honor, she was paid less than her male colleagues, much to her disgust. After the premiere of her nonet (at which violinist Joseph Joachim played), she demanded that her pay be raised to be equal to that of her male colleagues’, and eventually she succeeded. Throughout the course of her professional life she wrote for both large and small ensembles, and her work was praised by none other than Robert Schumann. Her output is of extremely high quality, and puzzled lovers of her music enjoy busying themselves guesssing why it never became popular (theories include the fact that opera, rather than instrumental music, was the dominant form of expression at the time; the French defeat in the Franco-Prussian War in 1871 led to denigration of French composers; and of course that sad old chestnut, she was a woman). Here is a recording of Jeanne Louise Demont Farrenc’s lovely Piano Quintet No. 1. 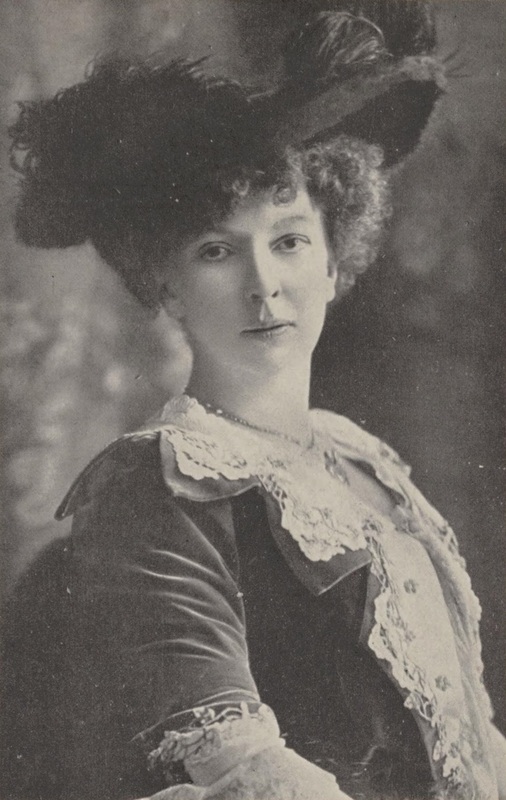 Luise Adolpha Le Beau (1850-1927) was one of those astonishing prodigies who could sing before she could speak. Thankfully she was born into a family who supported her study of music, although her provincial neighbors in Karlsruhe, Germany, disapproved. (Her father in particular was extremely encouraging; he tutored her in subjects that weren’t offered to women in schools, and he moved the family around so that she might have the best education possible. Luise herself once mentioned that the professional disappointments she faced as a women weighed more heavily on her father than on her.) In 1873 she went to get feedback on her work from famed conductor Hans von Bülow. He urged her to expand her artistic horizons and move to a larger city. She eventually found her way to Munich, where she both studied and taught. In 1882 her Four Pieces for Cello with Piano Accompaniment won a prize at an international competition. Le Beau wrote in her autobiography, “It appeared rather comical that ‘Herr’ had been printed everywhere on the enclosed certificates; it was now crossed out and replaced with ‘Fräulein.’ The judges themselves were certainly not a little amazed when the name of a lady appeared out of the sealed envelope!” She later made professional connections with Brahms, Liszt, and critic Eduard Hanslick, all of whom admired her work. Just do not limit, then, the training of girls. Rather, teach them the same things that are taught to boys. Grow accustomed to a system that has this same fundamental condition for every education, and then see what [girls] can do after acquiring technical skills and intellectual independence, rather than entrench yourselves against female capabilities by limiting the education of women! Here is Le Beau’s trio. Her trio is not available on IMSLP, but here’s another chamber work that I haven’t heard but I wager is just as good, her Piano Quartet, op. 28. IV. Piano Quintet in b-minor, op. 40, by Dora Pejacevic. 1915-18. 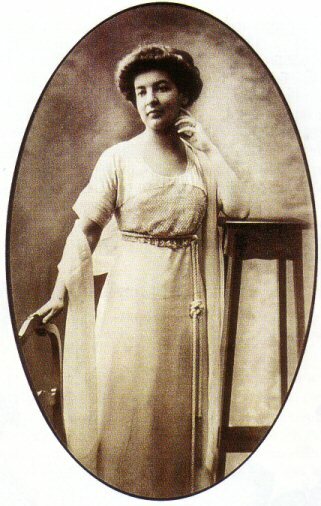 Dora Pejacevic was born in 1885 in Budapest to an aristocratic politician father and a pianist mother. She began composing at the age of twelve, and although she studied privately in Dresden and Munich, she remained largely self-taught. She wrote nearly sixty compositions, including music for both large and small ensembles, including a piano quartet, a violin sonata, a piano concerto, and a symphony. Traces of Brahms, Schumann, and Fauré echo through her work. Pejacevic died tragically in 1923 after giving birth to her son. She did not want to be interred in her aristocratic family’s mausoleum; instead, she preferred to be buried like an average citizen. Here is her piano quintet in b-minor (personally, my favorite piece of the four). Sadly I wasn’t able to find the score for this one, but, there is another chamber work of hers available on IMSLP that might be worth a check-out…her Piano Quartet, op. 25. Oh, thank you for these. How beautifully you set up this page, the photos, the links to YouTube, the access to the printed music. Thanks so much for keeping this music alive. I had the pleasure of performing many of these and other works of women composers during the 1990's as the "Trio Sirena." Our pianist, Rebecca Rollins, has since passed away from cancer, but our cellist, Manon Robertshaw, and I are still championing the cause of women's music.